November 14, 2005 -- Today the Chicago Tribune published a generally good story by Dahleen Glanton about the ongoing debate over what nurses should wear, and especially the return to more traditional white uniforms in some hospitals. The piece, headlined "White garb returning to hospitals," was soon picked up by other Knight Ridder newspapers nationwide. The piece gives a good sense of the "divisive and heated" debate in some quarters over how to identify nurses in an increasingly diverse and often confusing hospital environment. It notes that perspectives range from those who believe that white uniforms enhance professionalism to others who feel it prevents individual expression. 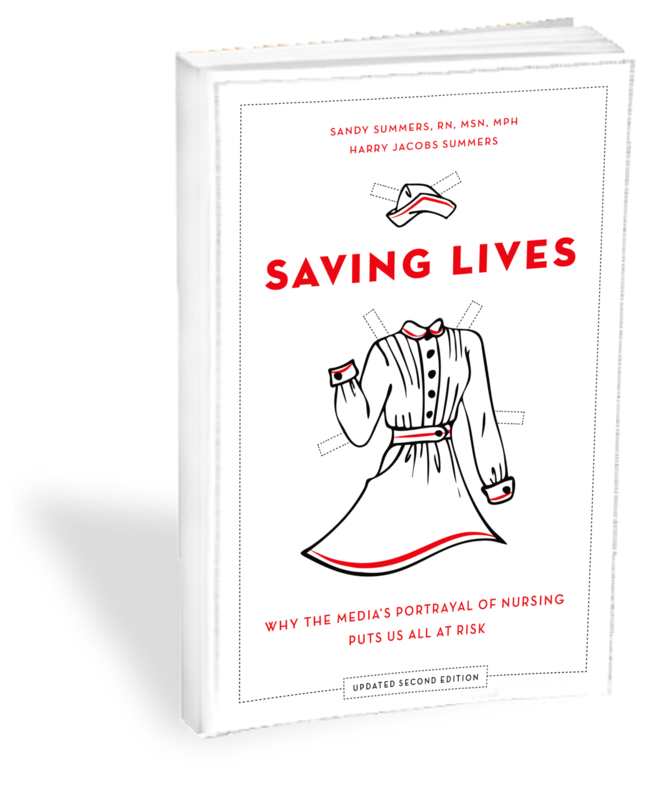 The piece also includes several quotes from Center executive director Sandy Summers about the underlying identification problem, white uniforms, and "RN" patches. The piece explains that some U.S. hospitals have introduced nursing dress codes featuring white scrubs, or at least a standardized system of apparel for different types of staff. There is a bit of unfortunate phrasing near the start, where the piece notes that hospitals moving back to white are trying to "restore professionalism to the job." We doubt the hospitals would suggest that their nurses lacked professionalism generally, though evidently some feel that some nurses' attire in recent years does not convey a professional image. The story cites the results of the 2003 survey by the Fabric Workshop and Museum of Philadelphia in which most nurses said they wanted to continue wearing scrubs rather than a uniform. It also suggests that younger nurses who favor more casual dress have forced institutions to grapple with the issue, which has been complicated by efforts to retain staff during the shortage. But the piece notes that no one is "advocating a return to starched dresses and Cherry Ames nursing caps." The piece focuses on Atlanta's Grady Memorial, where chief nursing officer Rhonda Scott last year instituted an all-white uniform policy for the hospital's 1,100 nurses. The piece quotes Scott explaining the problem of uncontrolled nursing attire (e.g., a T-shirt with "a big Tweety Bird on it") and the improvement in morale and image following her change, which she hopes will encourage others to become nurses. It also quotes a patient who likes the change because it helps him (as the piece puts it) "determine which staffer should be doing what." A Grady nurse who has "accepted" the change still seems a bit ambivalent, noting that she now "likes the professional look," though she did feel that her colorful old print uniforms "reflected [her] personality" and "brightened the environment." The piece also describes changes at Chicago's Northwestern Memorial. There, nurses wear "scrubs in a combination of periwinkle blue and white," and all professional staff have distinctive color-coded apparel. The piece notes that Northwestern instituted the system after patients complained that they could not tell the staff apart. Evidently the hospital actually surveyed patients about the proposed changes before making them. The hospital uniform tops apparently have either a "flower print" or a hospital logo, and also state the worker's "job title." All staff wear identification badges. While many nurses have gradually warmed up to the idea [of white uniforms], not everyone agrees. Sandy Summers, executive director of the Center for Nursing Advocacy in Baltimore, said there are better ways to boost the image of nurses. "A lot of people have problems with white uniforms because nurses deal with bodily fluids all day and their uniforms get soiled. It is nearly impossible to keep them clean," said Summers, a registered nurse. "The white uniform also has the angel image problem. It harks back to the time when nurses were thought of as spiritual characters who provide emotional comfort, not professionals who save lives. When you are perceived as an angel, people don't have a problem asking you to work 15-hour shifts without a break." Instead of white uniforms, the Center for Nursing Advocacy is promoting the use of a registered-nurse patch to be sewn on any type of uniform. The patch includes the nurse's name and credentials, signifying that the registered nurse is a professional who is college-trained, Summers said. "In a lot of hospitals, nurses are being replaced with technicians to save money. Some hospitals require everyone to wear generic scrubs and forbid nurses to identify themselves as registered nurses," Summers said. "If they did, the patients and families would know just how few nurses there are on staff." This passage is basically an accurate expression of Summers' perspective on the uniform issues, except that she does not necessarily oppose white uniforms, but was merely pointing out some potential drawbacks. White uniforms do have the advantage of being distinctive, and obviously they would help patients identify nurses, given the profession's traditional association with the color. Moreover, some may see white as preferable to what the article describes as "pajamalike scrubs splattered with colorful flowers, images of SpongeBob SquarePants or candy canes," which may encourage people to regard nurses as something other than serious professionals. In addition, the patches the Center offers include credentials, but not the name of the individual nurse. However, we commend Ms. Glanton for including discussion of these issues, which we hope underline how nursing uniforms can actually be a factor in short-staffing and the shortage. We thank Ms. Glanton and the Chicago Tribune for this piece. See "White garb returning to hospitals" by Dahleen Glanton in the November 14, 2005 edition of the Chicago Tribune.